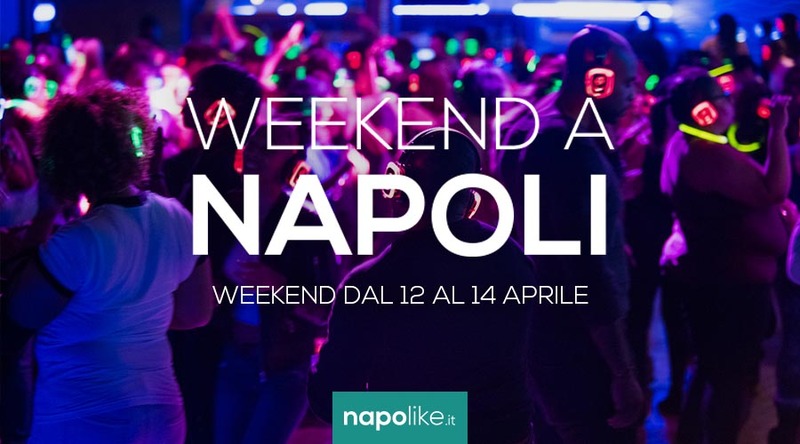 Barter and second-hand fair, sports fair, equestrian games in costume, Silent Party and much more with the weekend events in Naples from 12 to 14 April 2019. Ready to experience a new fantasy weekend in Naples? Over the weekend from 12 to 14 April 2019 there are many private events engaging, interesting and fun that you can't miss. At the Bosco di Capodimonte, the initiative once again comes to life At the court of the King with Cavalieri, Gran Galà Equestr and Giostra in Armatura Farnesiana, while in the Pietrarsa Museum you can participate in the Silent Party with show and street food. Both in the Mostra d'Oltremare will be set up Barter Fair and of the used one is Four legs at the fair and, at the Palapartenope, there will be a new appointment with the Sports Fair. Furthermore, the exhibitions on continue Chagall, Escher e Canova and, in the Basilica of the Holy Spirit, you can listen to one of the Easter concerts which will be organized in the city. Here are the details on the weekend events. Here comes the program of special guided tours and esoteric routes to rediscover the Sansevero Chapel in Naples in the evening. A program of very interesting events proposed by San Severo Chapel in the heart of the historic center of Naples where, from the 30 March to the 14 June 2019, there will be dramatized guided tours and esoteric itineraries to discover all the secrets of the Chapel. The visits will also take place in the evening making the experience even more suggestive. If you want to spend a day dedicated to art, science, but also literature, dance, theater, music, health, botany and ancient oriental disciplines, then you cannot miss the event scheduled at the calendar. Duca di Martina Museum - Floridiana. Information on the impressive Reggia Express 2019, the vintage train from Naples to the Royal Palace of Caserta! Here are prices, timetables and dates. From darkness to his admirable Light: the evocative 2019 Easter concert at the Basilica of the Holy Spirit in Naples! "From darkness to his admirable Light" this is the title of the evocative concert to be held at Easter 2019 at Basilica of the Holy Spirit in Via Toledo a Naples. On the occasion of the events organized to celebrate the 180 years of the Naples - Portici railway, it will be possible to spend a truly exceptional weekend. Saturday and Sunday 13 14 2019 April from 20.00 hours to 23.00, in fact, at the National Railway Museum of Pietrarsa in Naples it will be possible to take part in two special evenings to pay homage to the art of photography and classical music. At the Mostra D'Oltremare in Naples, a new appointment with Four-legged at the 2019 Fair: planning advice, fashion shows and events! Saturday 13 and Sunday 14 April 2019 a new and fantastic date will be held with Four Paws at the Fair, an event now in its fifth edition. The event will take place at Mostra D'Oltremare in Naples with a very rich program of events all dedicated to children hairy friends. At the Mostra D'Oltremare in Naples a new edition of the Fiera del Baratto and of the used 2019 between antiques and modernism! Saturday 13 e Sunday April 14 2019 la Mostra D'Oltremare in Naples will host the 46a edition of Barter and Usual Fair, the great exhibition dedicated to the greatest reuse and reuse of Southern Italy. After the success of last year, the event dedicated to the most important sport in southern Italy is back: SEBS Sport Fair. The event will be held at Palapartenope of Naples the 13 and the 14 April 2019 and provides many areas dedicated to various disciplines including the dance, fitness, skate and archery, just to name a few. If you want to live a truly unique experience, you can not miss the appointment with theEvening aperitif at the Catacombs of San Gennaro which takes place every Saturday from February 2019. Thanks to this visit, in fact, you will be able to discover one of the most evocative underground cavities of Naples and Southern Italy. A March 2019, is until April, a new edition of YoGaiola a Naples, a wonderful event to live an unforgettable experience of relaxation and well-being in the beautiful island of Gaiola.